Diamond Personnel > Family Blog > About Us > Is An Online Nanny Service Right For My Family? Using a nanny service, on the other hand, ensures all candidates have been properly screened, vetted and trained, and can be entrusted with the care of your children. There are many nanny placement agencies with proven track records, and some people are also starting to explore the option of online nanny agencies to find caregivers for their family. 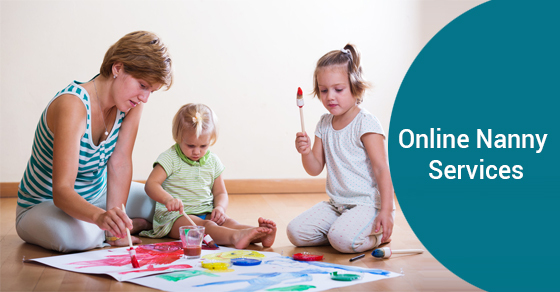 Online nanny services combine the DIY approach with the due diligence services offered by conventional nanny agencies to help parents find the ideal nanny for their family. Online nanny services give parents complete control over the person they choose to take care of their loved ones, and any good and effective company will do a thorough screening of all the candidates and will have verified their references. Generally, parents need to be actively involved in the process of searching for the right candidate, but web-based nanny services act as a partner to help carry some of that load. But keep in mind, not all nanny agencies are created equal. Before putting your trust in an agency, it’s important to ask the reps the right questions and research the agency’s reputation. What credentials does your service have, and how long have you been in business? How do you recruit nannies to your service? Do you do criminal background checks on all nannies before hiring them? What due diligence do you perform to ensure that a nanny’s references are legitimate? Can I contact the nanny’s references directly myself if I have any concerns? If a previous client has filed a complaint against a nanny, how does your agency handle that complaint? How is misconduct handled by your agency, and what degree of misconduct would be required for a nanny to face repercussions or be dismissed? Large online nanny companies in the United States such as Care.com, SeekingSitters.com, and SitterCity,com boast about having millions of users who use their services. Care.com claims to have 17 million users in 16 different countries, comprising caregivers looking for regular or contract work and parents looking for caregivers for their elderly parents. But the level of diligence at these agencies seems to suffer, perhaps as a result of the size. In the past five years, there have been 350 complaints against Care.com and 74 against SitterCity.com, which may seem like a lot, but is not a large enough number for the Federal Trade Commission to take action. If you’re not satisfied with the level of thought and care that online agencies use in the hiring process, consider choosing a more traditional nanny placement agency. Diamond Personnel is an award winning agency with a proven track record of reliable and safe hiring practices.